Altair Flux™ captures the complexity of electromagnetic and thermal phenomena to predict the behavior of future products with precision. Flux Introduction Video Watch this quick introduction video to learn how Flux can help you. Efficient Electromagnetic Actuator Prototype Design with Flux Bitron is an automotive company producing mechatronic devices, such as actuators, sensors and switches. Siska Verhamme and Pablo Avarez, both Engineers at Bitron, describe their challenges and how Flux can help them, to accelerate the design process. 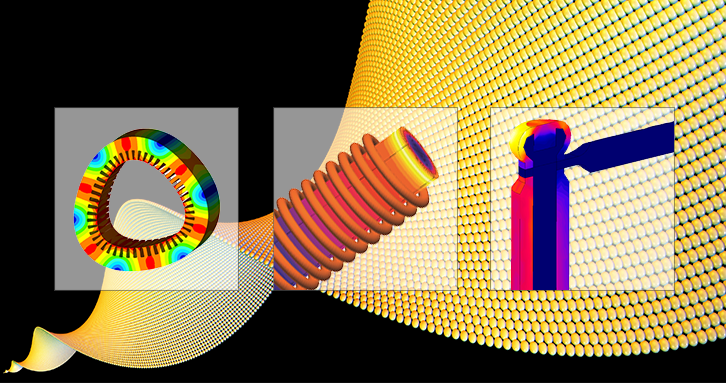 Flux is the leading software for electromagnetic and thermal simulations. 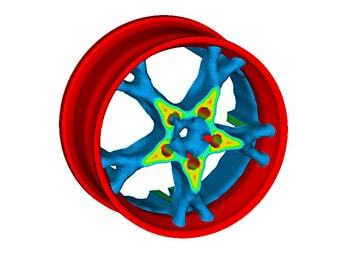 For more than 30 years, Flux simulation software has been used worldwide in leading industries and university labs. It has become a reference for the high accuracy it delivers. In a greener and more electric world, engineers can rely on Flux to assist in designing energy efficient devices, bringing more innovation and value to your customers. Flux, using breakthrough technologies, is the right tool for the analysis, design and optimization of modern applications. 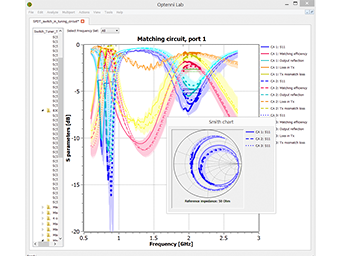 Featuring embedded multi-parametric analysis capabilities, its open interface deals with different simulation domains and is well suited for multiphysics couplings. Open and intuitive, Flux can be easily included in your design workflow to deliver reliable analysis results. With the most advanced numerical methods available, it deals with complex modeling situations. Its multi-parametric capabilities allow an efficient search of the design space for optimal performance of your device. 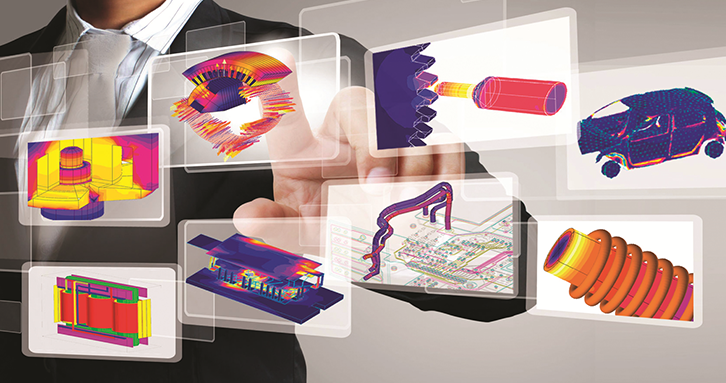 Customization, automation and connection to CAD tools are available for maximum productivity. Through the years, Flux has proven its ability to get close to measurements and to reproduce with great accuracy complex phenomena. Flux generates results engineers can trust allowing them to concentrate on innovation. Flux solvers are constantly being improved to bring the best solving speed, allowing for the evaluation of thousands of design configurations. 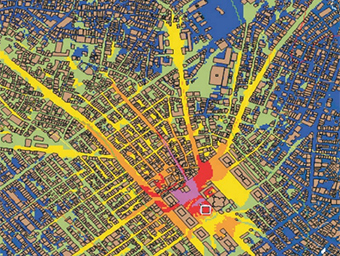 Because each simulation is unique, Flux can be easily adapted to specific needs. Different options are available to fine tune the models and the solvers, bringing accurate results in the most efficient way. With its embedded scripting tools and the ability to write macros, Flux captures simulation processes and automates them, thus speeding-up the everyday use of the software. Using a parameter to define a geometric dimension or a physical characteristic is one of the Flux fundamentals. Linking several parameters together through equations is also very easy, and users can intuitively explore the influence of any parameter. 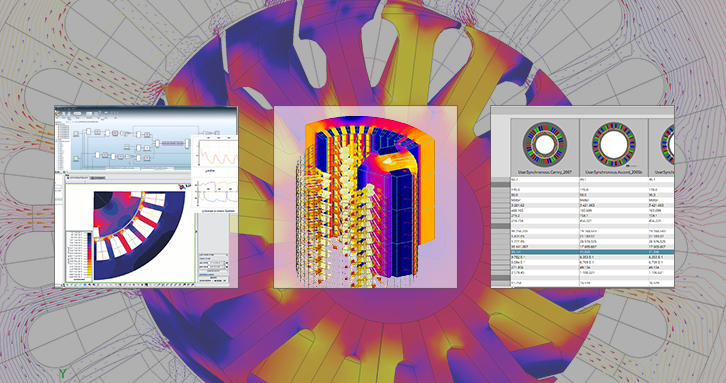 Flux also takes advantage of the distribution of the calculations, allowing for the evaluation of numerous design configurations with an optimized computational time. The connection to the Altair suite enables users to work in a global creative environment. 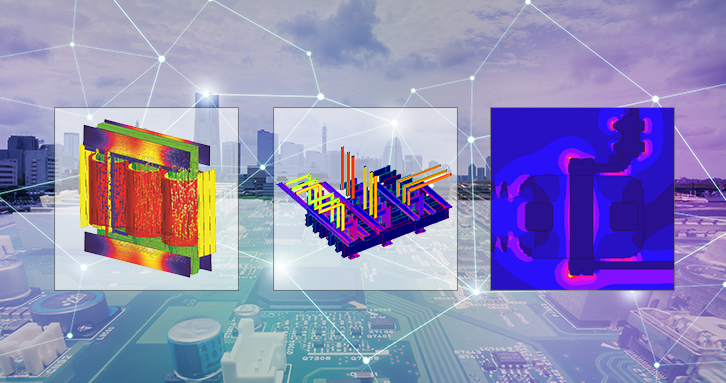 Flux can be coupled to the best available 3D analysis software to consider multiphysics and get the most realistic representation of phenomena, or to system level simulation tools to design control strategy. 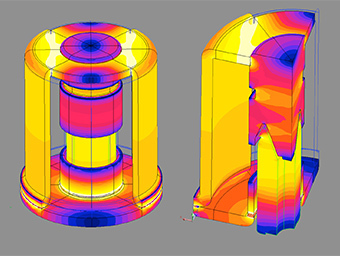 Skew modeling capabilities avoiding long 3D analysis thanks to 2,5D models. Auto-adaptive mesh refinement during solving in 2D & 3D. 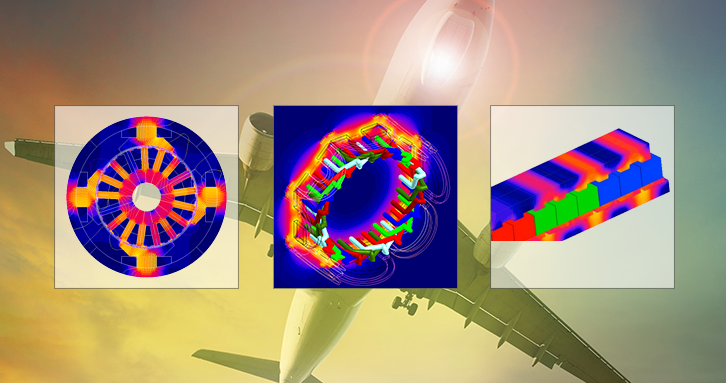 A full range of physical models to simulate the low frequency behavior of electromagnetic devices. 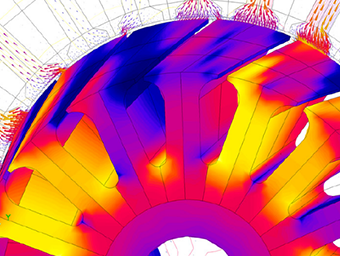 Distributed parametric studies across several cores or machines. 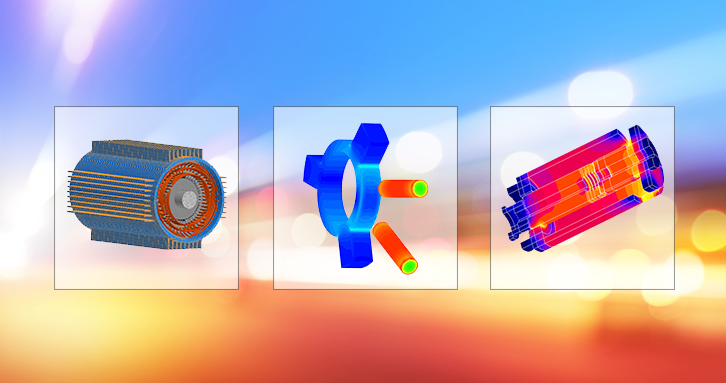 Because Flux is used in global design workflows, it can be easily connected to other software, being for multiphysics analysis, optimization or system-level simulation. 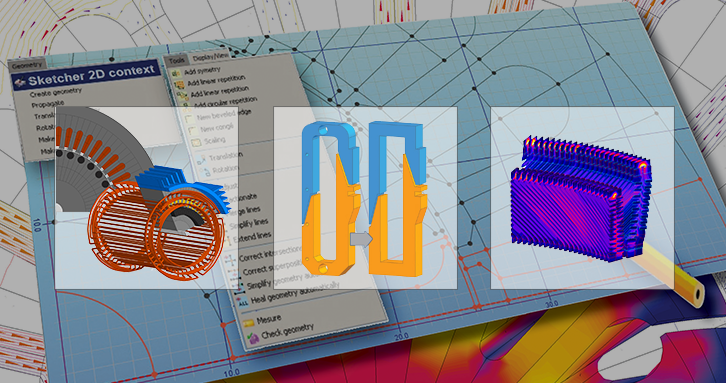 Flux is able to import meshes from SimLab or HyperMesh, allowing to deal with complex 3D CAD input files in an efficient way. The connection to PBS will let you take advantage of the full power of remote HPC clusters.